We are in full spring seeding mode now. 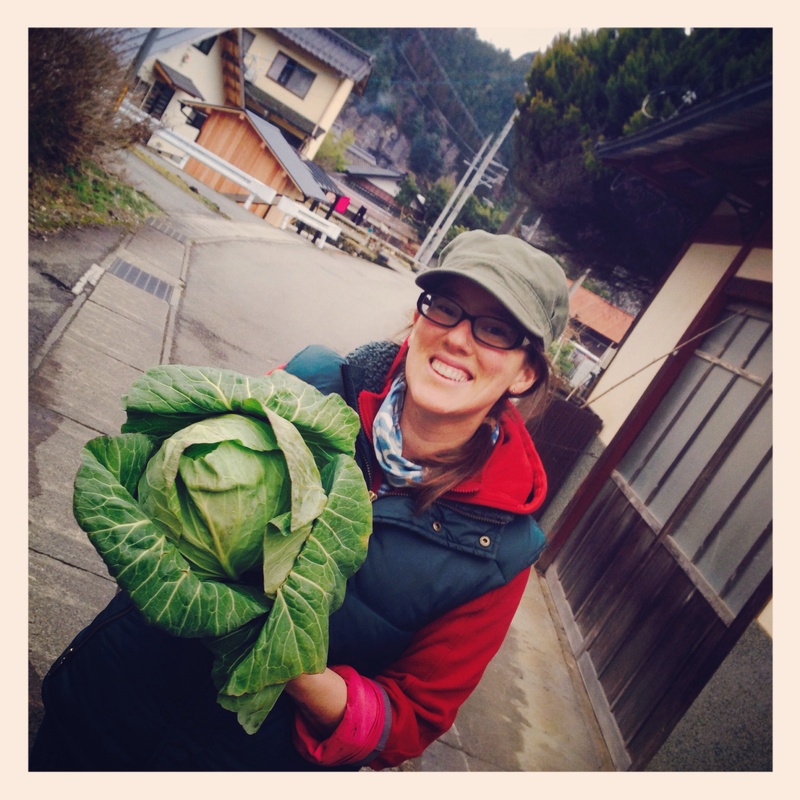 The snow is finally receding and we are able to start digging out overwintered crops like cabbage, baby salad mix, onions and garlic. 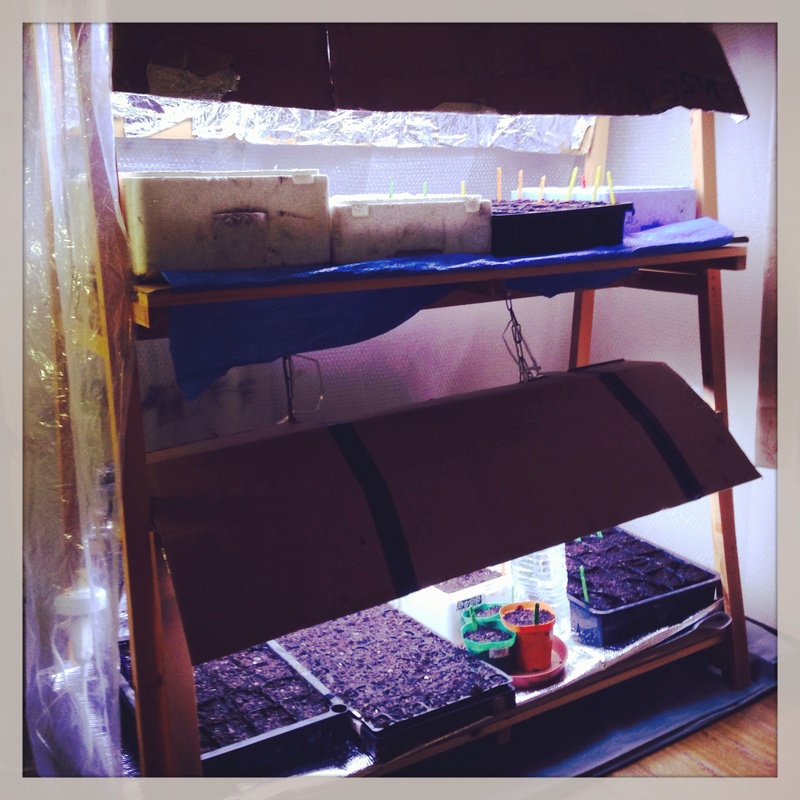 Our indoor grow lights are already full with flats of seeded kale, leek, sweet peppers, eggplant and tomatoes. Always being creative, we found that our heating blanket works nicely to keep the soil a bit warmer for quicker germination. Once the seedlings have their secondary or tertiary leaves, we ‘harden’ them off outside for the first time on overcast days. This allows the seedlings a bit of time to adjust to factors like wind and cooler nights, without the harsh UV rays that can burn the tender leaves. 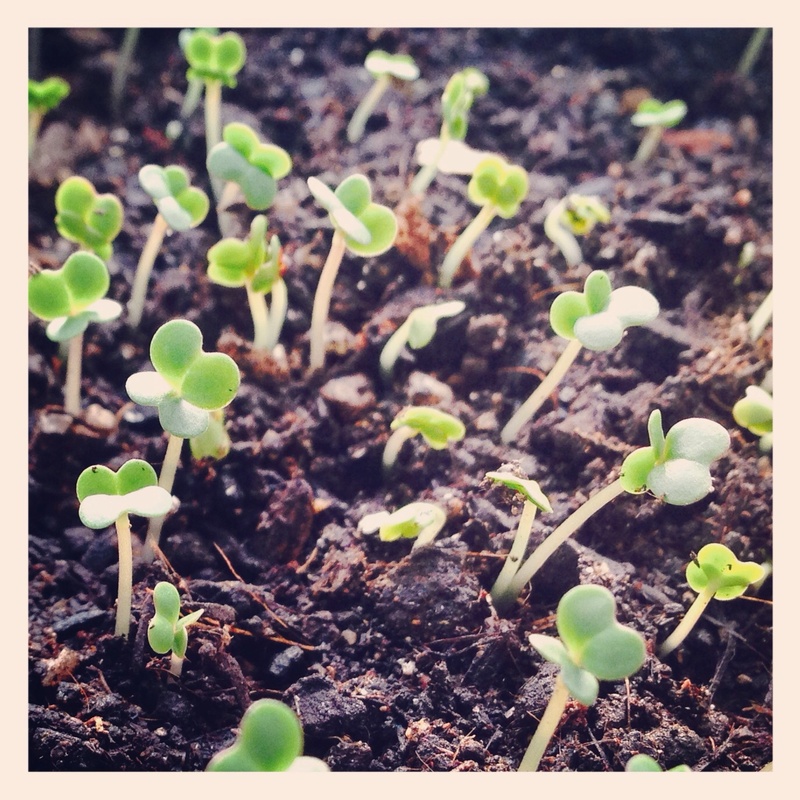 Our first spring seedlings are kale. This year, we hope to grow a lot more kale to keep up with the demand. Apparently juicing it is all the rage. Soon, we will start moving them into cold frames, which are like mini greenhouses, but inexpensive to make. Please watch for updates as we approach our veggie box start date some time in mid-June.